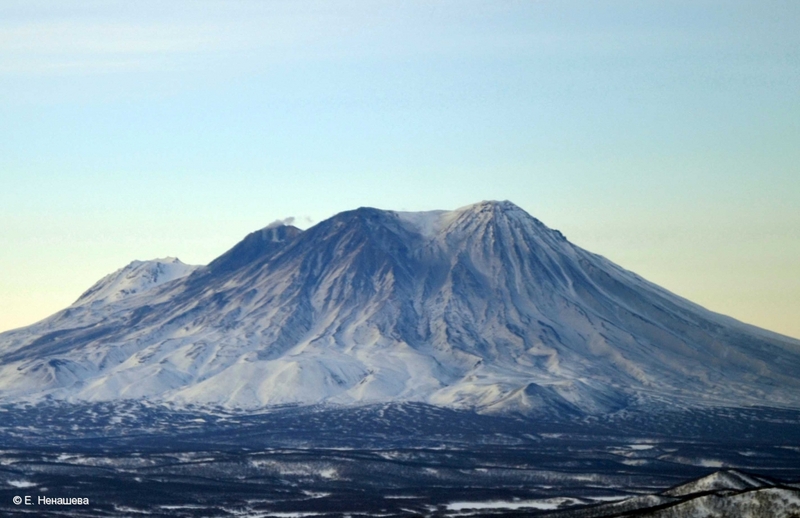 Ash explosions from Klyuchevskoy volcano summit crater on 14 June, 2016. 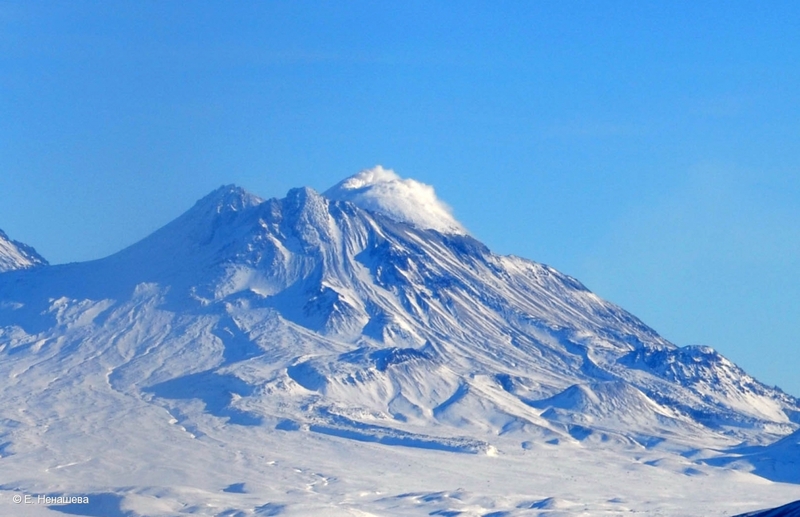 Oval'naya Zimina volcano on 26 May, 2016, a view from the eastern flank of Klyuchevskoy volcano..
Ostraya Zimina, a view from the eastern flank of Klyuchevskoy volcano. 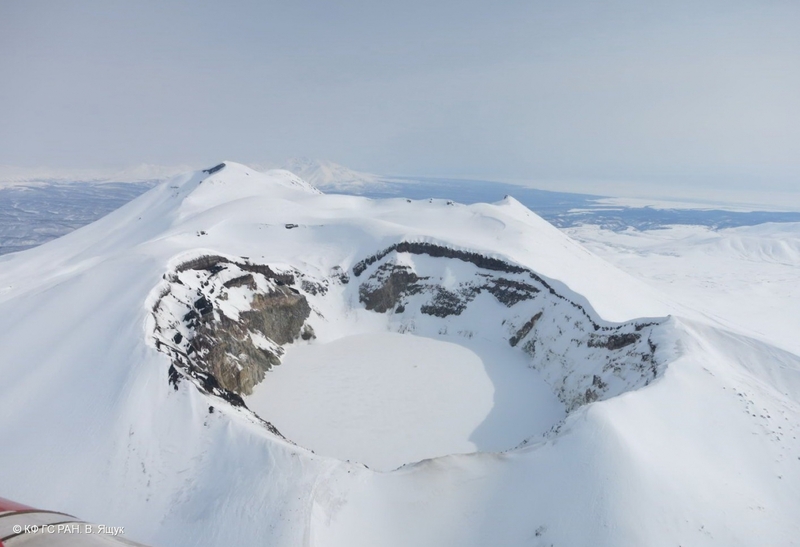 Ash emission from Klyuchevskoy volcano crater on May 04, 2016. 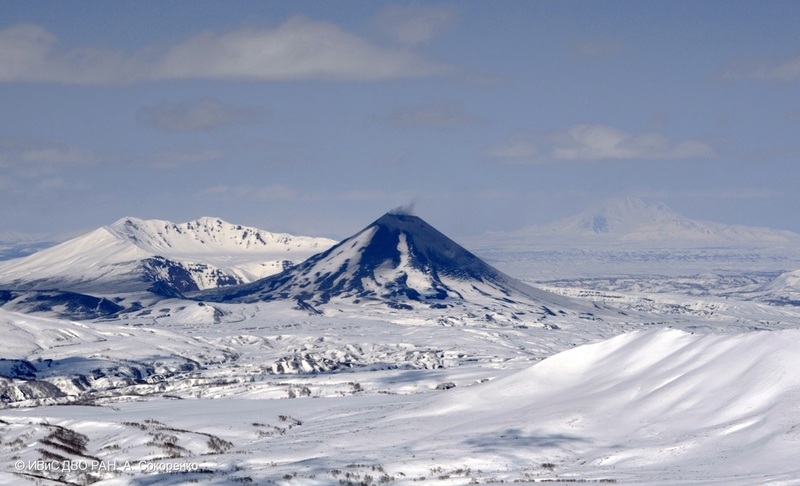 Lava flow into Apakhonchich chute on the SE flank of Klyuchevskoy volcano. 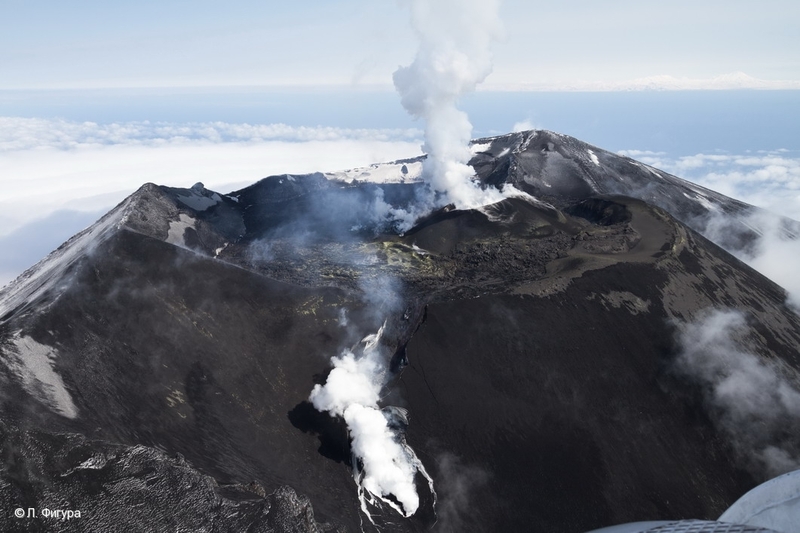 Explosive-effusive eruption of Alaid volcano continues: the summit crater of the volcano filled with fresh lava, a cinder cone grows in its southern part, a lava flow effuses in the south-western volcanic flank. 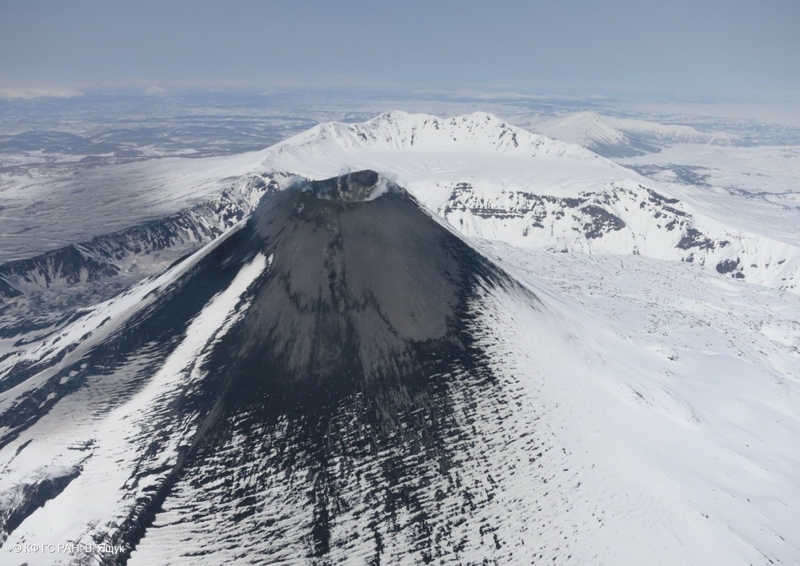 Lava flow began to effusing on the south-eastern flank of Klyuchevskoy volcano (the chute Apakhonchich) on April 23, 2016. 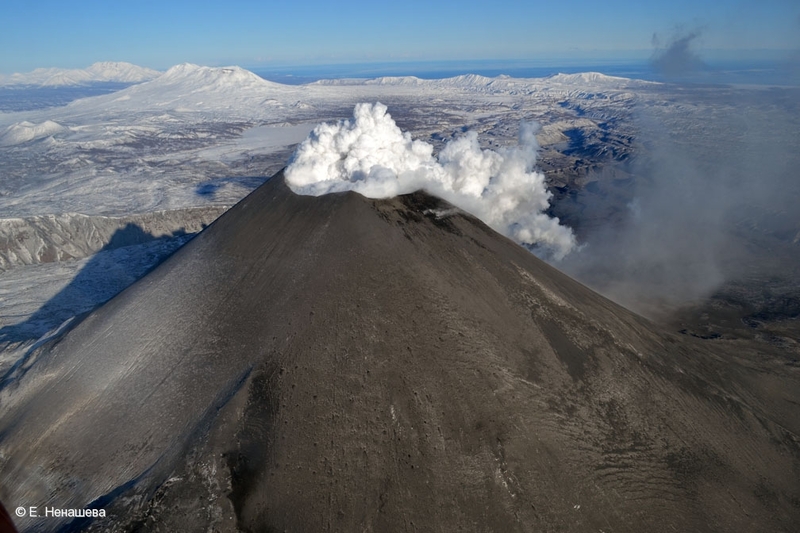 Explosive eruption of Strombolian type of Klyuchevskoy volcano began on 03 April, 2016, and continues till present. 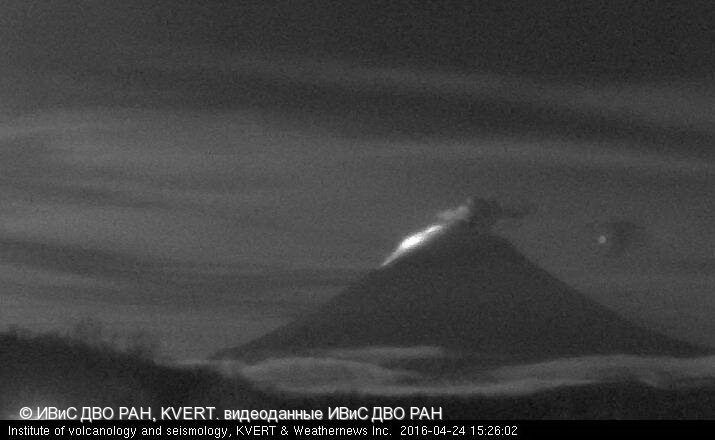 Activity of Karymsky volcano on 08 April 2016. 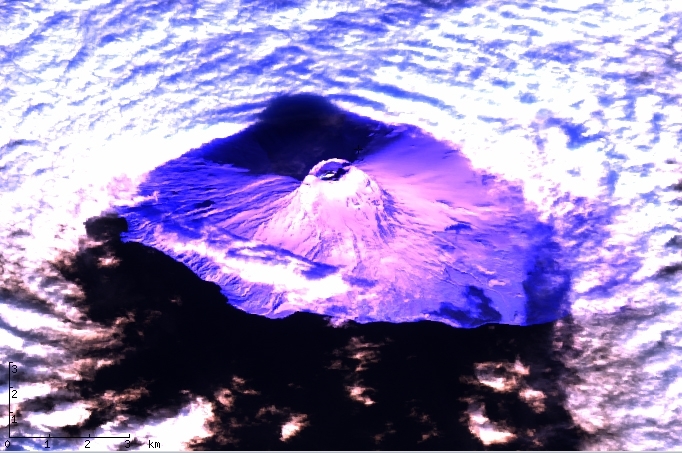 Activity of Zhupanovsky volcano on 08 April 2016. 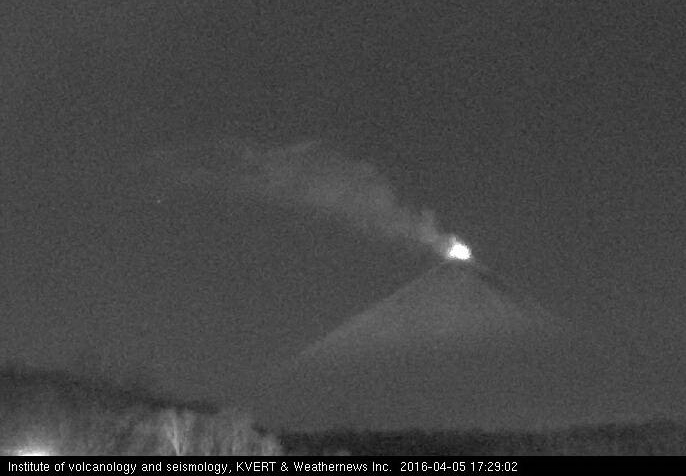 Explosive eruption of Strombolian type of Klyuchevskoy volcano on the state at 17:29 UTC on 05 April 2016. 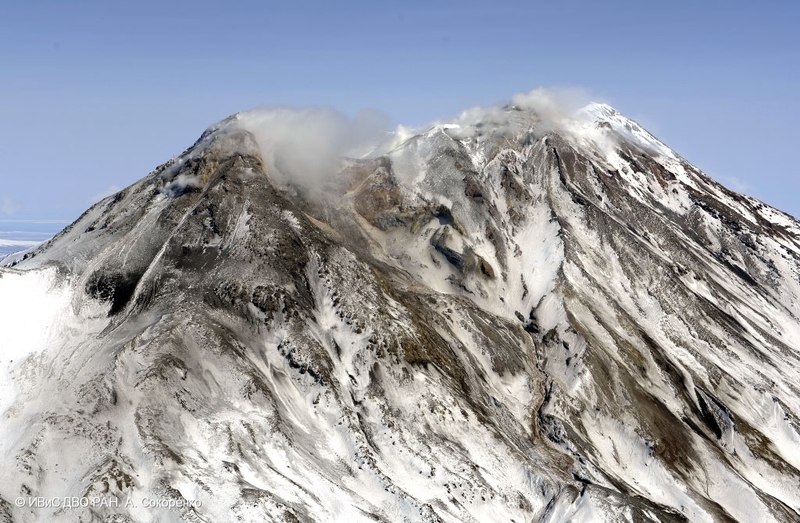 Source: videodata by KVERT & Weathernews Inc.
Any use of the image may be carried out only with the permission of the copyright holder. 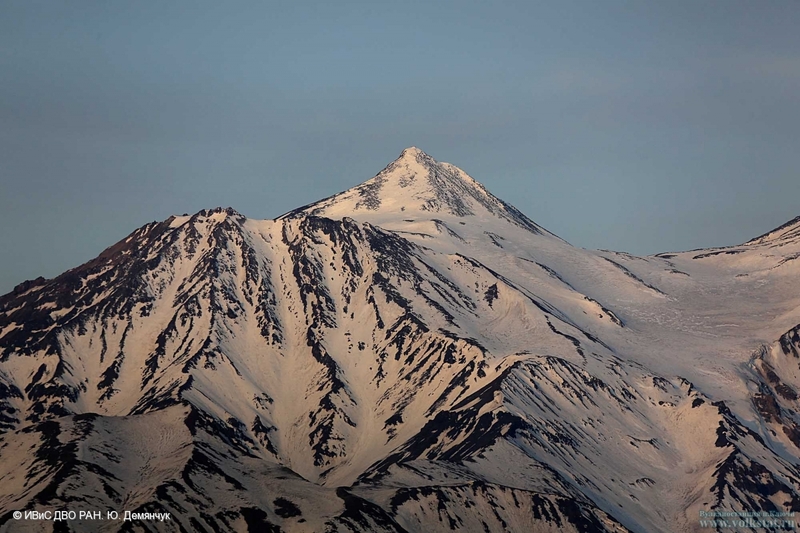 Please cite the author(s) and the Geoportal when using this image. 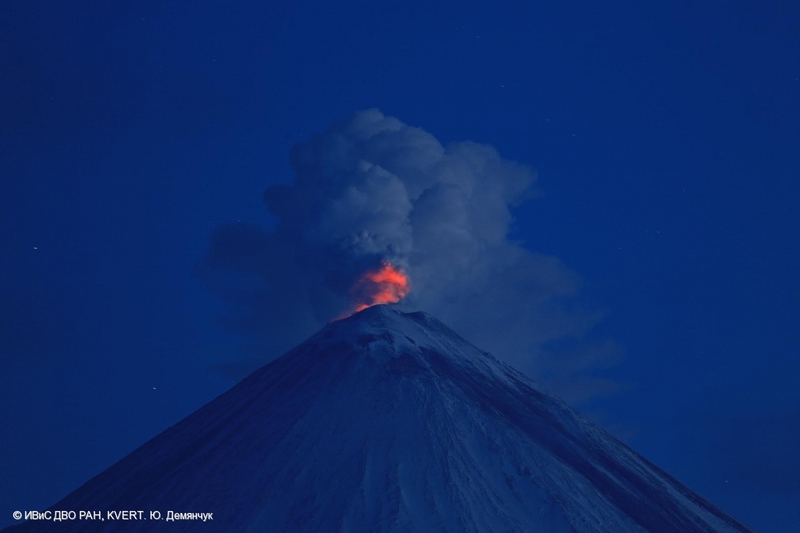 Fumarole activity of Bezymianny volcano on 03 April, 2016. 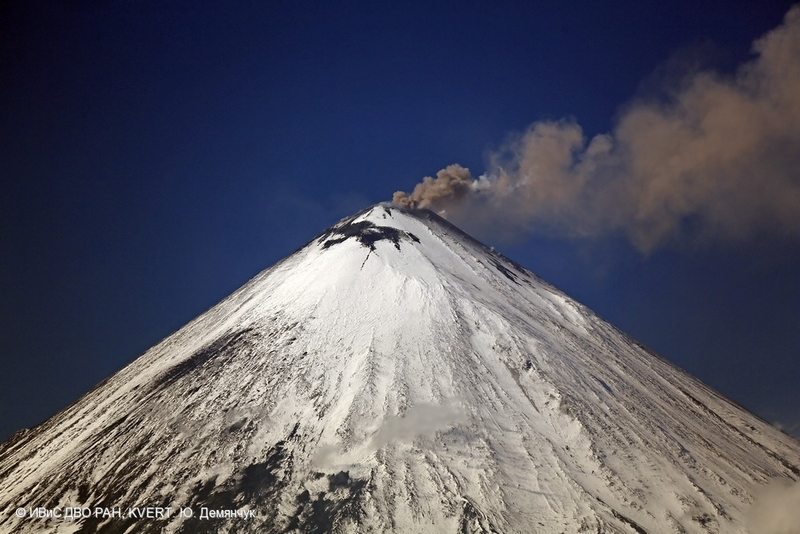 Fumarole activity of Karymsky volcano on 03 April, 2016. 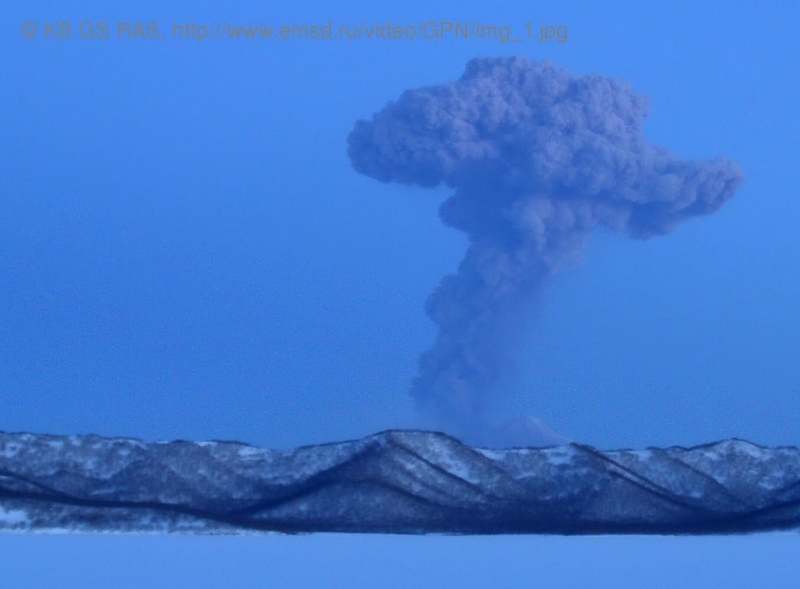 A gas-steam plume containing small amount of ash extending to the south-west from the volcano. 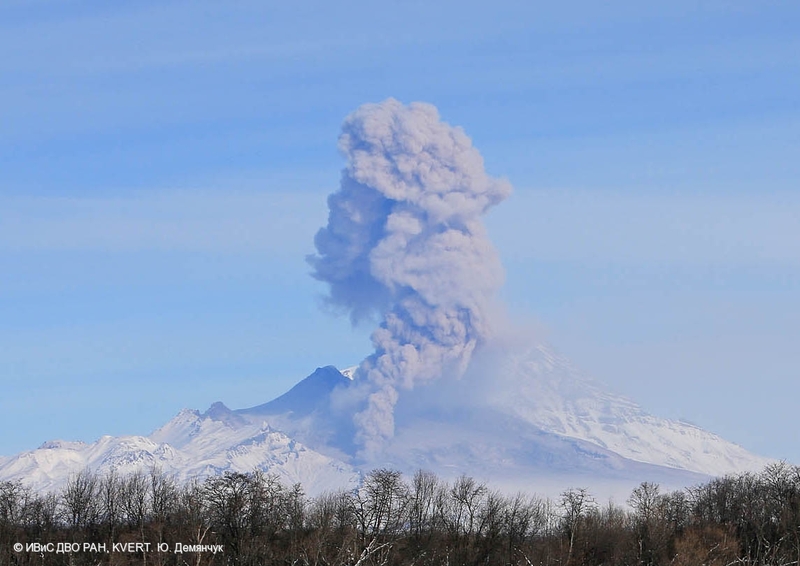 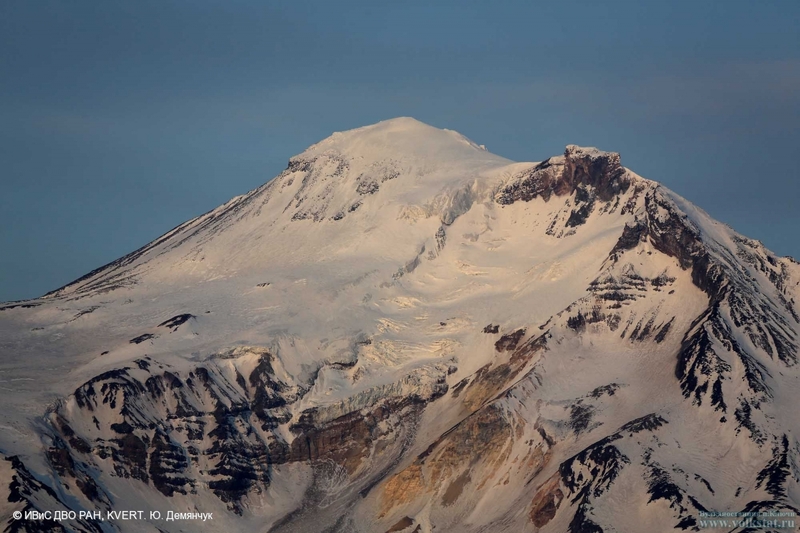 Ash from a hot avalanche of Sheveluch volcano rose up to 5 km a.s.l. 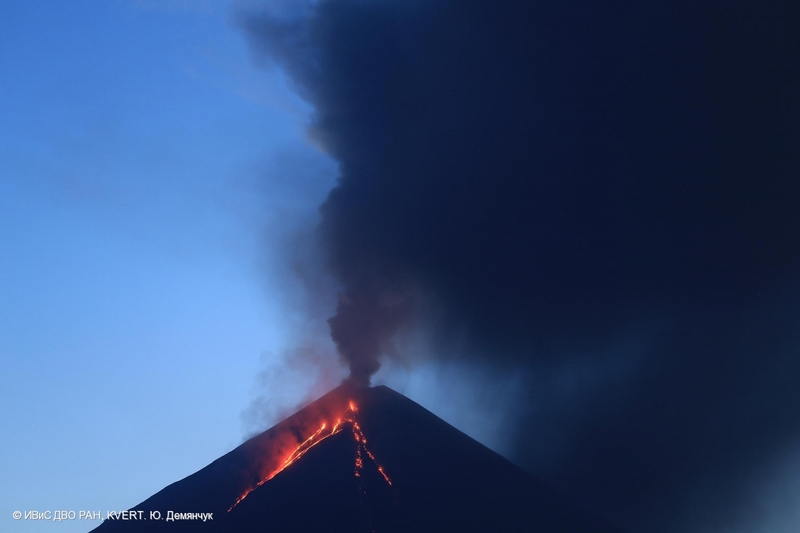 Fumarole activity of Bezumianny volcano on 21 February, 2016. 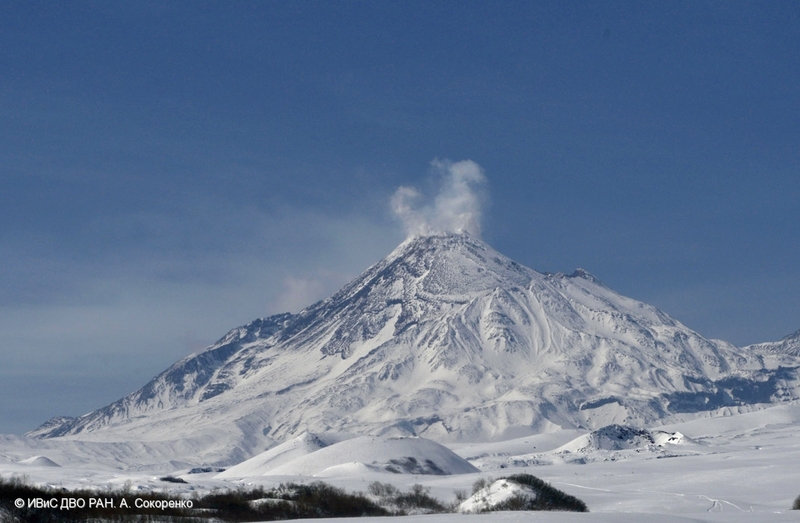 Fumarole activity of Karymsky volcano on 21 February, 2016. 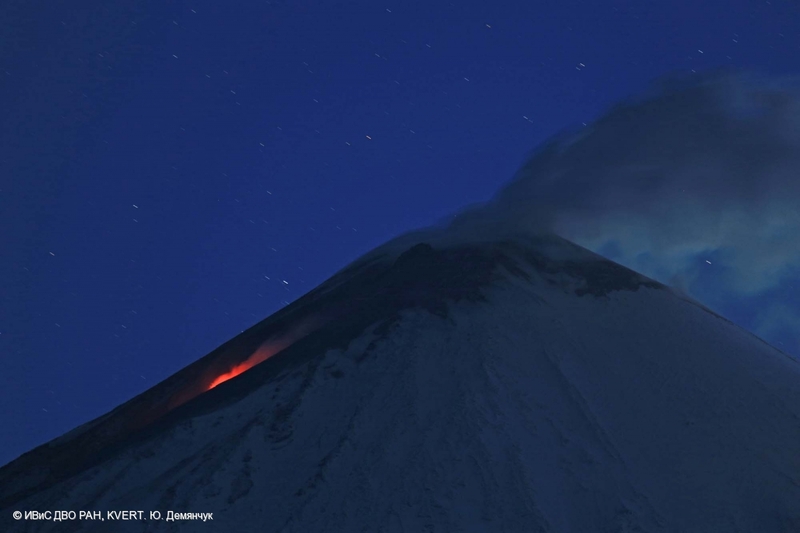 Fumarole activity of Zhupanovsky volcano on 21 February, 2016. 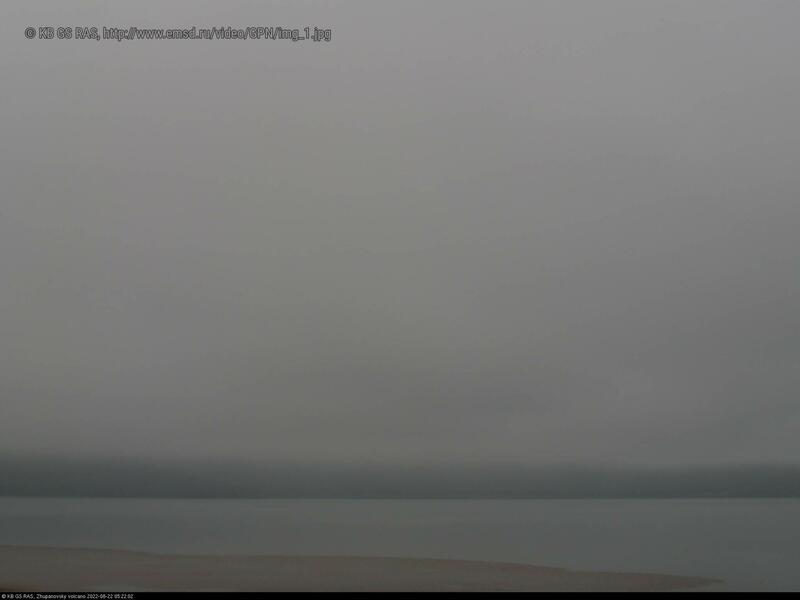 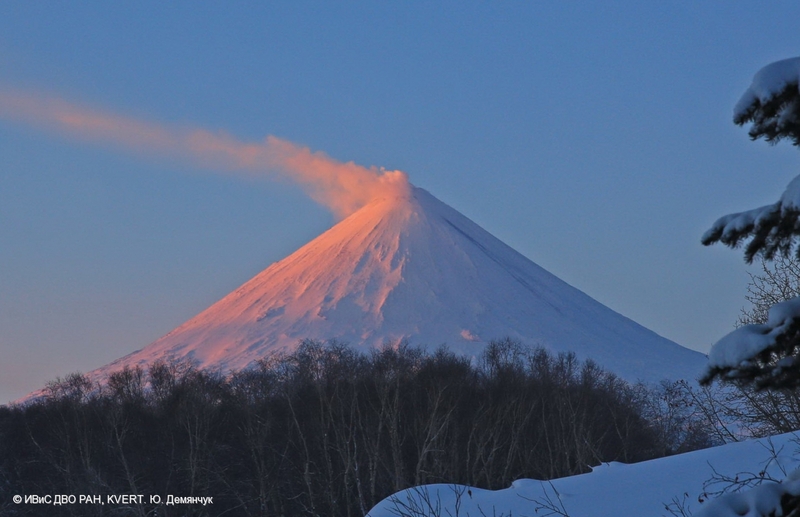 Explosion of Zhupanovsky volcano sent ash up to 10 km a.s.l. 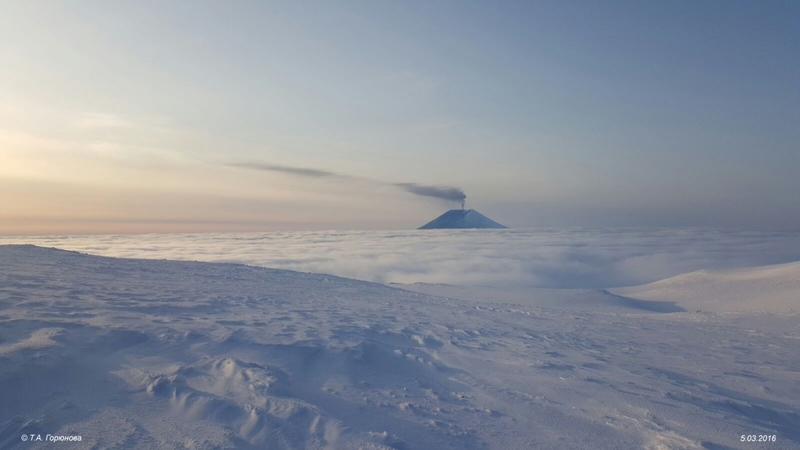 Fumarole activity of Klyuchevskoy volcano on 10 February, 2016. 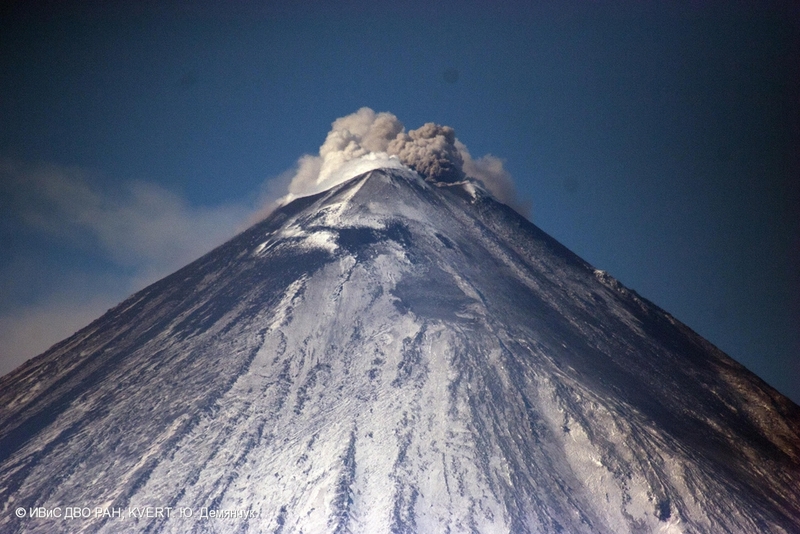 Zhupanovsky volcano eruption on 19 January 2016. 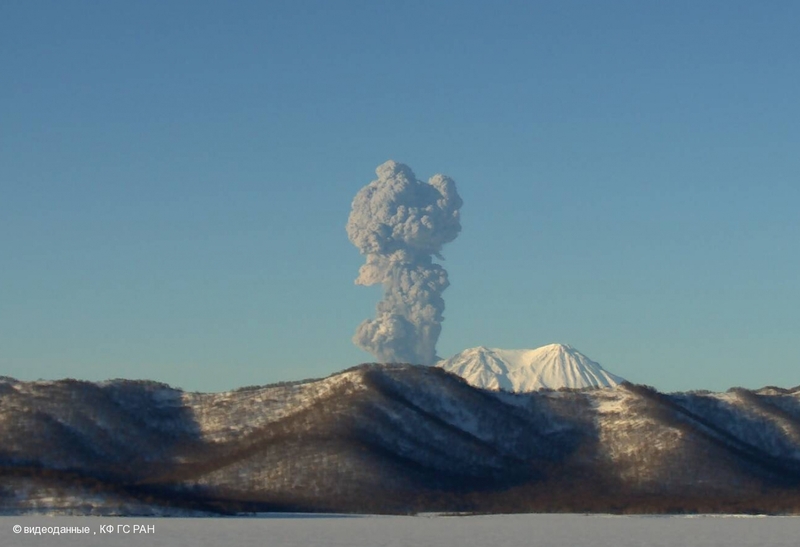 Ash column up to 7-8 km a.s.l.